Record low support, at 26%, for a handgun ban, since Gallup first started asking in 1959. Has to feel awful for our opponents to be on the wrong side of history and public opinion. Of course, ask them now they don’t support handgun bans, they never supported handgun bans, and who are you to suggest that was ever so? For the first time, Gallup finds greater opposition to than support for a ban on semiautomatic guns or assault rifles, 53% to 43%. In the initial asking of this question in 1996, the numbers were nearly reversed, with 57% for and 42% against an assault rifle ban. We are getting our message out there folks. Now we just need federal judges to get the message. Nor does it appear to be tied to an increase in gun ownership, which has been around 40% since 2000, though it is a slightly higher 45% in this year’s update. The anti-rights crowd (if you can even call them a crowd any more) has largely been basing their future hopes on their claim that the number of gun owners is steadily decreasing, and was tiny to begin with. This shows that even in 2000–arguably the high-water point for the anti-gun cause–there were more gun owners than either Democrats or Republicans. Since then, the number of gun owners has risen by 12.5%. 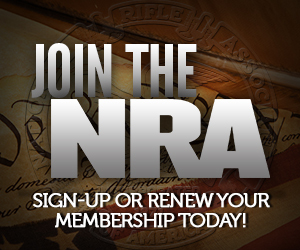 The implicit argument of the anti-rights fringe is that, fine, people are becoming less anti-gun because they’re more libertarian and less focused on the issue, but it doesn’t matter–the number of gun owners is shrinking so fast that in a few years, the Democrats can quietly insert a gun ban into legislation and no one but a few militia nuts would care. This survey throws that out the window. Guns are not only normalized, they are rapidly becoming the norm. It isn’t even about demographics any more–city slickers love guns too. Guns are to the Teens what rock ‘n’ roll was to the Fifties and Sixties. The Supreme Court generally follows public opinion. This is exciting news for the future death of semiautomatic firearms bans around the country. While the long-term trend is in the right direction, it appears that one in four of our fellow countrymen still are lacking in their understanding of the rights and responsibilities of citizenship. Of course it’s true that even federal judges are not immune from public opinion. But it’s important to remember that the judiciary is supposed to be impartial. They normally base their decisions on law and facts – not on politics, popular or elite opinion, or personal preferences. Even when they rule against us, it’s more likely that they are simply misinformed (or misguided) rather than acting out of purposeful bias. Well, I wrote my congressman today. Maybe Jim Moran will come around to our issue. Heh. So do we now need to have some kind of sticker or logo identifying us as one of the 11%? Slow is smooth and smooth is fast applies to politics as well.